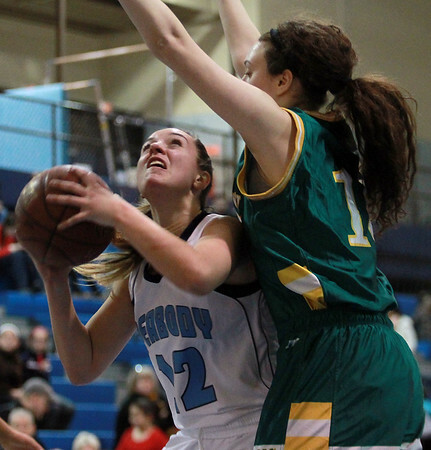 Peabody senior captain Courtney Bua (12) makes an up-fake and then goes up strong to the hoop while being tightly defended by Lynn Classical junior Chenysse Hill (12). DAVID LE/Staff photo. 12/19/14.